Peering through gates often gives interesting insights. 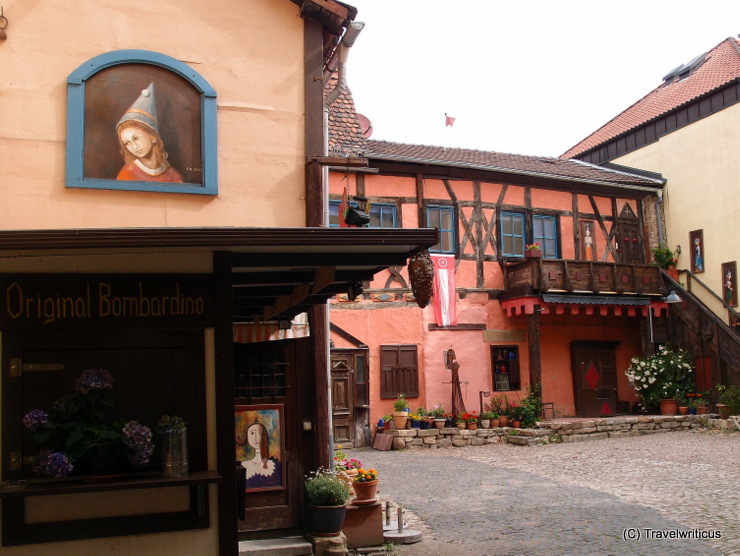 This inner yard in Erfurt made me think to live in a different period or to be on a stage. Actually the Kunsthof Pianola is a venue with medieval touch not far away from the center of the city. 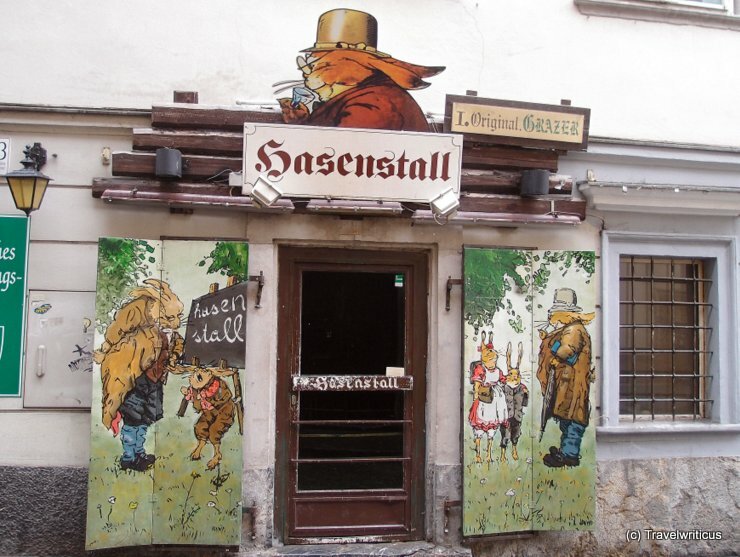 The entrance of a party venue in Graz named Hasenstall (‘rabbit hutch’).